Why opt for a high-altitude Peruvian slog to Machu Picchu when you can simply go up the tracks in ease and comfort? 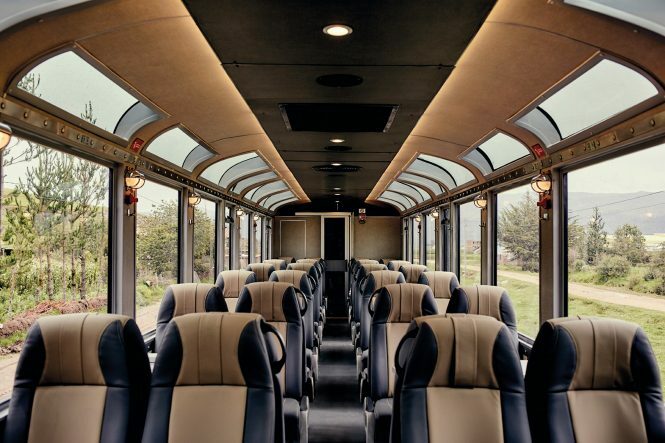 The latest addition to Inca Rail’s fleet of sightseeing vehicles is the 360° Machu Picchu Train. Daily services of just under three hours run from Poroy, a 20-minute drive outside Cusco, whereas the twice-daily journey from Ollantaytambo—in the rugged Sacred Valley—takes roughly one hour and 20 minutes each way. Wider and taller panoramic windows with UV protection make the most of the passing scenery, as does a central observation carriage that boasts a self-service bar. Inside the train, leather-padded reclining seats for 248 passengers come fitted with their own USB port in case devices need charging. And if that’s not enough, April will see the launch of a free mobile app offered in different languages, serving as an audio guide to the Inca civilization and the notable details of each area en route. 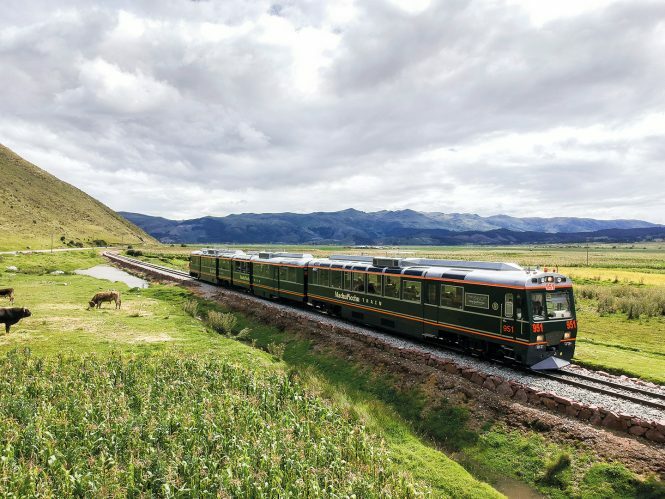 Train attendants will be on hand to serve locally sourced organic snacks, juices made with fruits and herbs grown in the Sacred Valley, and come lunchtime, a light meal of seasonal Andean fare. This article originally appeared in the April/May 2018 print issue of DestinAsian magazine (“Incan Odyssey”). 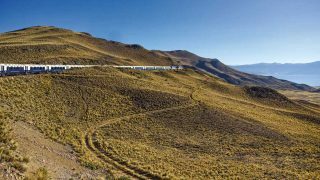 Making tracks aboard South America’s first luxury sleeper train.